The Philadelphia College Prep Roundtable (PCPR) will honor two members of the College of Education at its "Night at the Roundtable" event. 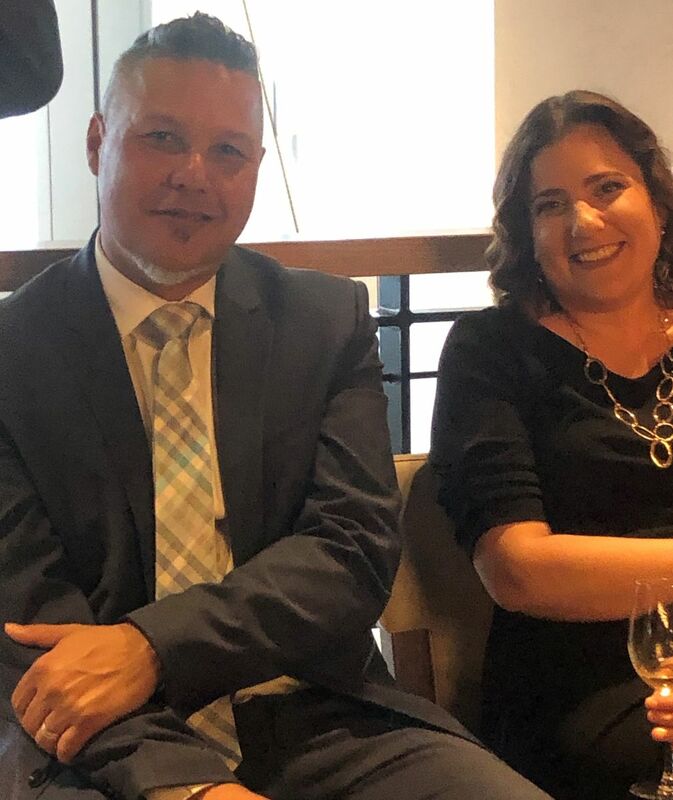 The honorees include Gregory Anderson, Dean of the College of Education and professor of Higher Education and Sara Goldrick-Rab, professor of higher education policy and sociology. Anderson will receive the Dr. Constance Clayton Education Award and Goldrick-Rab will receive the Debra Weiner Community Impact Award. 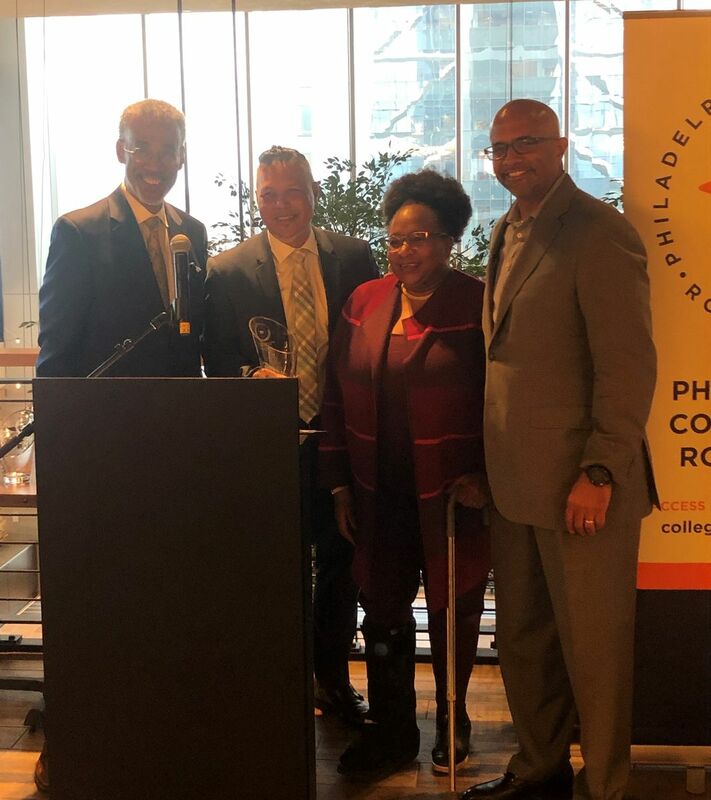 The Philadelphia College Prep Roundtable (PCPR) seeks to strengthen a community of college access and success practitioners who believe in the potential of all individuals and help students navigate the path to and through higher education. We provide tools, resources and opportunities for discourse; support leadership development in the field; and seek to bridge the gap between policy, research and practice in the area of college access and completion. PCPR is a premiere network of professionals who improve the lives of individuals to thrive and adapt to a complex and global society. PCPR emerged from a group of committed college access and success practitioners who started networking in 1992 with the intent of sharing information that could maximize their own knowledge and better support students; college aspirations. Today, the Network is still driven by a community of practitioners and its network which includes participants from organizations throughout the region. 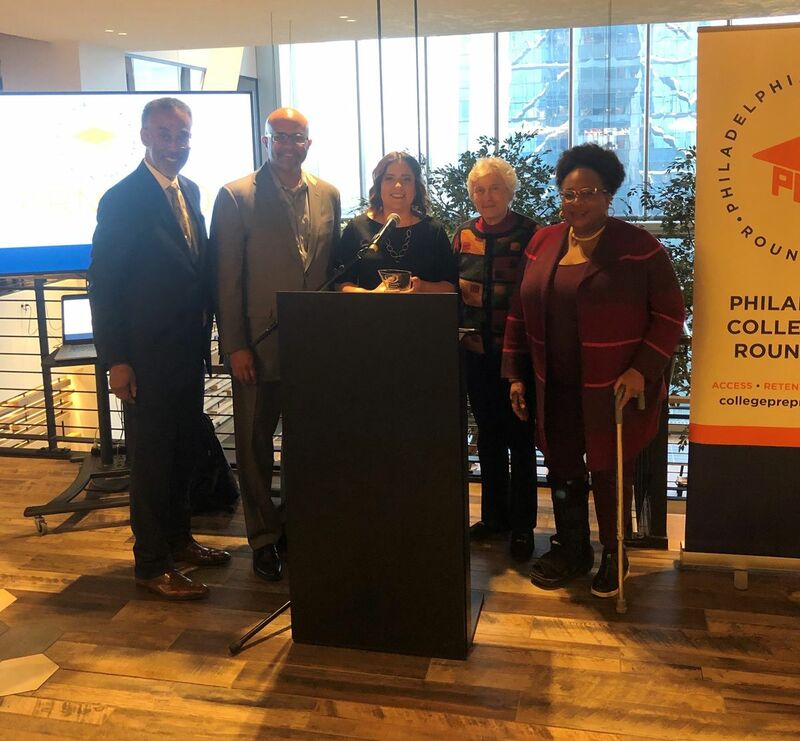 During monthly meetings on campuses throughout the region, the attendees address common concerns including academic preparedness, college entrance criteria, parental involvement and other strategies to enhance the effectiveness of college planning support in the School District of Philadelphia and neighboring districts. PCPR updates the network on the impact of state, federal, and local policies affecting college access and success. Having begun with 5-7 individuals in the early 1990’s, PCPR has supported over 750 professionals as part of its network and over 2,000 individuals from a wide range of businesses, individuals, K-12 agencies, and non-profits during the last two decades.